We leave from your hotel in Puerto Natales at approximately 07.00 to go to Hotel Lago Grey, place where you will check in (09.00). After checking in, we walk towards the boat to start sailing to the Grey Glacier, an unmissable excursion. It allows us to enjoy an incomparable landscape composed of floating icebergs, lush vegetation and imposing mountains. From the Hotel, and for the next 40 minutes we will cross a native forest to get to the Pingo River where we cross its bridge. We then get to the shore of Gray Lake, where we will embark. This tour takes about 3 hours. After 1 hour and 15 minutes of navigation, we will be near the feet of the Grey Glacier. You will be able to appreciate from very short distance all the beauty and magnitude of the ice walls of more than 20 meters that the glacier offers as a spectacle. 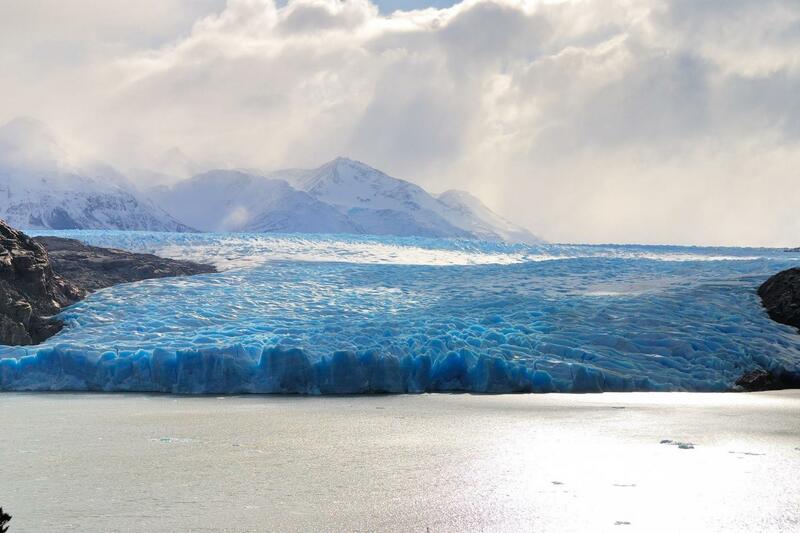 Marvel at this cluster of millenary ice while enjoying a typical Pisco Sour. Once we have arrived and we have marveled at the glacier, we begin the return to Hotel Lago Grey where a vehicle will be waiting for us to take us to lunch at Restaurant Pehoe. This restaurant invites you to enter one of the most recondite passages of the Patagonian Gastronomy and enjoy one of the most spectacular views of the Cuernos del Paine. Once we have finished our lunch, we start our trip back to Puerto Natales, where our arrival time is at approximately 5:00 PM.